On October 30 2014, an agreement was signed by finance ministers from 51 countries who joined forces to ensure the end of tax evasion and money laundering, with Switzerland deferring until 2017. Less than four months later the country found itself embroiled in the biggest banking scandal in history. In various documents leaked by whistleblower Hervé Falciani, it was claimed that HSBC was involved in the very actions that the banking community were trying to eradicate. The alleged systematic involvement of the bank’s Swiss-arm put mounting international pressure on the country’s strict 85-year financial secrecy laws and sent ripples through the banking world, highlighting the need for improvements in transparency. According to the Bank of England, “A transparent, accountable and well-governed central bank is essential not only for effective policy, but also for democratic legitimacy.” More clarity in the provision of public information and improvements to internal controls within banks are needed not only to improve accountability, but also to repair the serious flaws that have been exposed. A joint report by the FCA and PRA in 2014 proposed introducing new approval regimes to clarify the lines of responsibility at the top of the bank, enhance regulators’ ability to hold individuals accountable and assess the fitness of staff in positions where their decisions could harm the bank. These actions would help bring banking into a new phase of accountability and ensure institutions are structurally safer and better managed. “We need a more resilient and sustainable global financial system, which means putting standards of accountability and transparency into place,” Ms McConnell, Director of the Financial Transparency Coalition, told European CEO. Global banking has recently returned to generating overall profits for the first time since the financial crisis of 2007 and it is vital that greater public disclosure is adopted. Secrecy within derivative markets allows companies to evade disclosure requirements and build up hidden risk that prevents regulators from carrying out their functions. 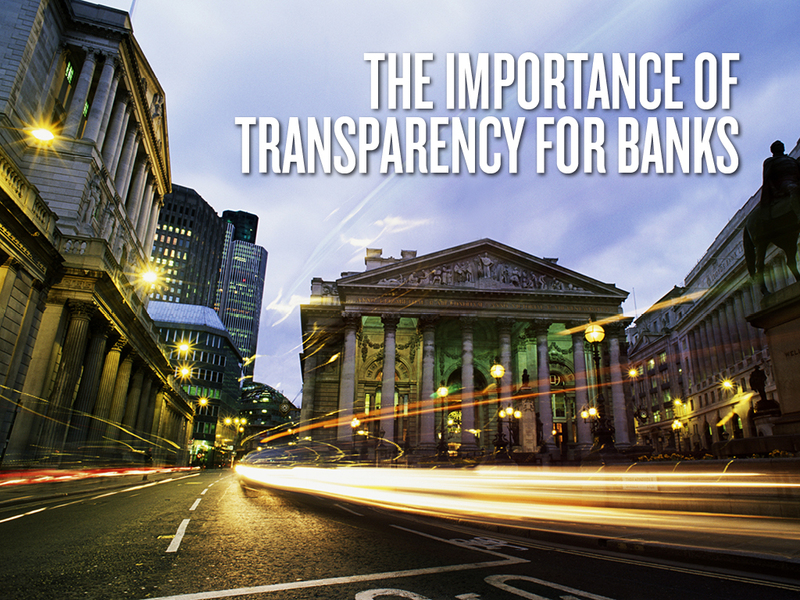 Adopting a mandatory disclosure scheme is one way in which transparency can be achieved. 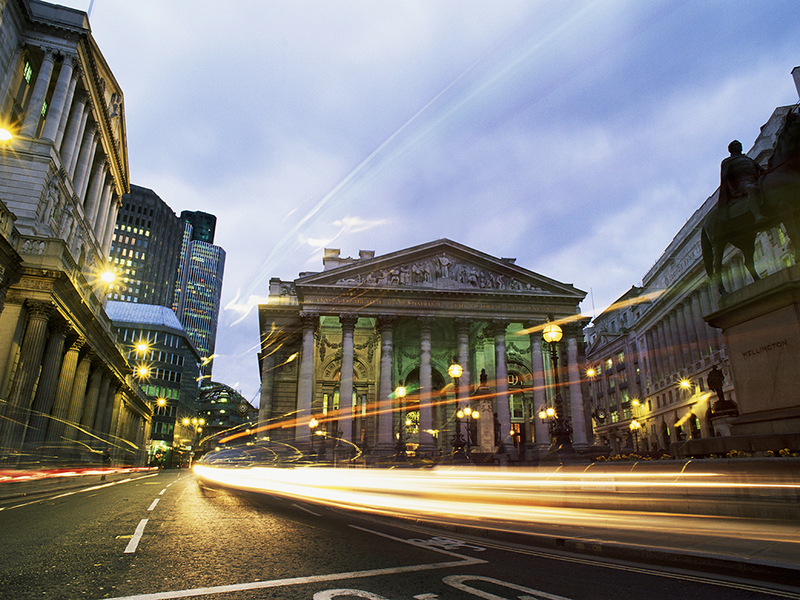 In 2014, the Bank of England unveiled proposals that would lead to the disclosure of minutes of rate-setting deliberations, as well as making transcripts and audio recording of policy makers’ decisions available to the public. This approach has already been adopted in the US, where the Federal Reserve publishes minutes of its policy meetings within three weeks while the Bank of Japan publishes minutes after a month has elapsed. The ECB does not currently publish a record of officials’ meetings but will begin to do so this year. Greater data disclosure would allow the public greater insight to their dealings and would also foster greater competition between institutions. By accurately pricing a bank’s exposure to credit risk and facilitating credit modelling by market participants, market discipline can be increased and the disclosure of sensitive data can be avoided. Proper supervision and enforcement will go a long way towards achieving financial accountability. The fall of Lehman Brothers highlighted the importance of the banks to be transparent and for upper managers to be responsible for their actions. It also showed how valuable fiscal clarity, information sharing and the updating of regulatory systems are to improving transparency. Institutions need to put greater priority on control models to reduce non-financial risks such as fraud and reputational damage. According to the EC, developing a framework for internal control systems can provide reliable financial and managerial reporting, ensure regulatory compliance, and decrease the risk of reputational damage. Non-financial risks can be reduced at a micro- and macro-level by adopting greater clarity in audit- and credit-rating processes, as well as in the formation of supervisory colleges. This will not happen overnight as a shift in mindset is needed, as well as time to implement changes, and banks need to adopt a good citizen approach in order the boost their performance. Transparency is a mantra that all too often gets swept under the corporate rug but is fast becoming a characteristic that will define institutions. Change is needed at an institutional level by encouraging contrarian thinking, board diversity and focusing on whistleblower protection. Successful banks will find a way to transform regulatory requirements into a commercial opportunity, one that will see them enter a new era of accountability. McConnell added: “We can’t keep relying on the next Lux Leaks or Swiss Leaks to reveal the billions hidden away in the shadow banking system. Banks should be required to disclose information to authorities and the public on a regular basis – like the country by country financial reports now required in the EU – to keep these scandals from happening in the first place.” Open communication should be the byword and information-sharing should become second nature to ensure a more stable and secure banking system.